Hong Kong: When the 42-year-old Filipino woman opened the door of her tiny Hong Kong apartment three years ago, two lawyers stood outside with a man she had never seen before. They explained that he needed a place to hide, and they introduced him as Edward Snowden. At the time, governments and news outlets were scrambling to find the source of the leaks, which were published in The Guardian and The Washington Post. 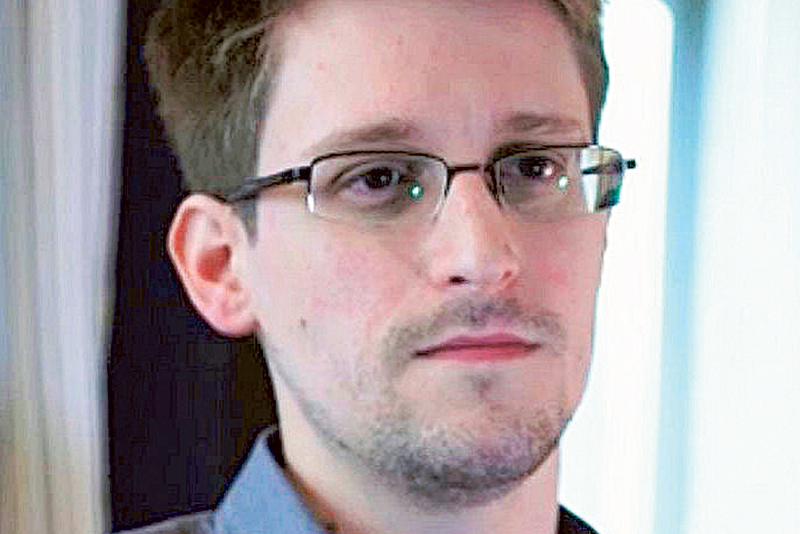 In an interview recorded in a hotel room, Snowden identified himself and revealed he was in Hong Kong. Then he went into hiding. About two weeks later he turned up in Moscow. It was never clear where Snowden was holed up during those critical days after leaving his room at the five-star Mira Hotel, when the United States was demanding his return. As it turns out, he was staying with Rodel and others like her — men and women seeking political asylum in Hong Kong who live in cramped, substandard apartment blocks in some of the city’s poorest districts. They were all clients of one of Snowden’s Hong Kong lawyers, Robert Tibbo, who arranged for him to stay with them. Rodel said Snowden slept in her bedroom while she and her 1-year-old daughter moved into their apartment’s only other room. Not knowing what he would eat, she bought him an Egg McMuffin and an iced tea from McDonald’s. “My first impression of his face was that he was scared, very worried,” she recalled. Rodel said her unexpected guest “was using his computer all day, all night.” She said that she did not have internet service but that Tibbo provided him with mobile access. On Snowden’s second day there, he asked Rodel whether she could buy him a copy of The South China Morning Post, the city’s main English-language newspaper, she said. When she picked up the paper, she saw his picture on the front page. Jonathan Man, another of Snowden’s lawyers in Hong Kong, said that he had initially considered hiding him in a warehouse but that he and Tibbo quickly dismissed the idea. Instead, after taking him to the United Nations office that handles refugee claims in Hong Kong and filing an application, they brought him to the apartment of a client seeking asylum. He noted that Snowden was not wanted by the Hong Kong police at the time and that he had advised his clients to cooperate with the police if they showed up. He said his clients had decided come forward in the hope that the publicity would put pressure on the Hong Kong authorities to expedite their applications for refugee status and resettlement. Rodel, for example, has been waiting nearly six years for a final decision on her application, which she declined to describe. After a few days with Rodel and her daughter, Snowden spent a night with Ajith Pushpakumara, 44, who said he fled to Hong Kong after being chained to a wall and tortured for deserting the army in his native Sri Lanka. Pushpakumara said he had listened to online radio broadcasts about Snowden and was surprised to suddenly find him in the dingy apartment that he shared with several men. He realised Snowden was in the same situation he was, hiding in a small room. “I was worried about him,” he said. Supun Thilina Kellapatha, his wife and their toddler also sheltered Snowden, putting him up for about three days in their 250-square-foot apartment. Kellapatha, 32, who said he sought protection in Hong Kong after being tortured in Sri Lanka, described their guest as a tired man who was unfailingly polite.